The Q91 series of heavy duty scrap shear is available in four different sizes including 500, 600, 800 and 1250 tons of cutting force. 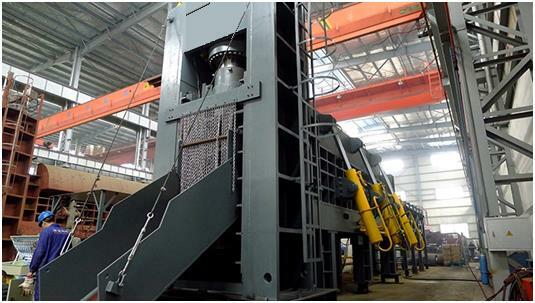 Throughput ranges from 5 tons per hour to 25 tons per hour. The heavy duty shear for 500t and 600t can be transported in 4 sections with the maximum component weight of 20~23 tons.